Bontrager XR4 and SE4 Team Issue Tires - Aug. 3, 2018, 1:44 p.m. Informative review for local conditions. You mentioned favouring the SE over the XR for Plus applications. Do you find this still holds true for lighter riders? I'm 140lb with full riding gear on riding a 27+ hardtail here on the Shore and Squamish mostly. I'm currently running DHF Maxx Terra/Rekon DC in 2.8 and wondering whether it's worth experimenting with something else. 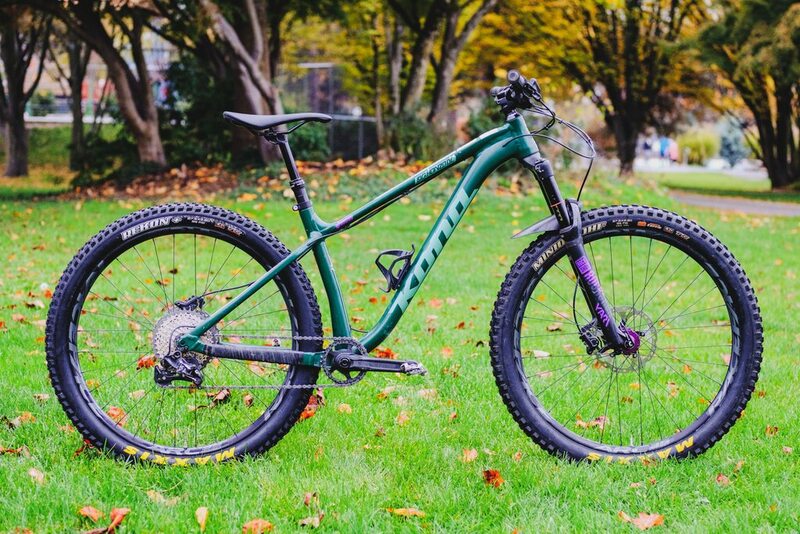 Re: NSMB - 2019 - Hardtail Thread - Jan. 28, 2019, 1:25 p.m.
Re: how bout a good ol fashioned tire thread - Oct. 19, 2018, 11:47 a.m.
Kona Big Honzo. Currently running DHF 2.8 Max Terra front and Rekon+ 2.8 DC in the rear. I've read lots of good things about the Bontrager SE4s and have been thinking about switching to those for the winter.